Client Relationship Management (CRM) is significantly more than simply a product requisition. It is a business result that provides you the capacity to join with and comprehend your clients. It is a synthesis of individuals, techniques and engineering and includes each association with your clients over the whole business segments. KENRelation is a total CRM result that mechanizes your sales and marketing, client administration and other verticals. Clients get strong purpose they'll really need to utilize, driving higher endorsement and more business awareness. Customer Relationship Management refers to the system that a business uses to study and more about client requirement and purchasing behaviors in order to build stronger and long lasting relationship with them. KENRelations™ is a CRM based excellent software for obtaining new customers and retaining them. It also improves sales channel management and management performance. Fully automated Customer Relationship Management (CRM) with creative functionalities to ensure effective Returns on Investment (ROI) and to be utilized by almost all industry segments for sales, service and marketing. Business Intelligence and Reporting functions to recover the visual outcome result and marketing forecasting to facilitate effective decision making. KENRelation™ makes it easy for business managers to get organized and build exceptionally good customer relationships that will last long. 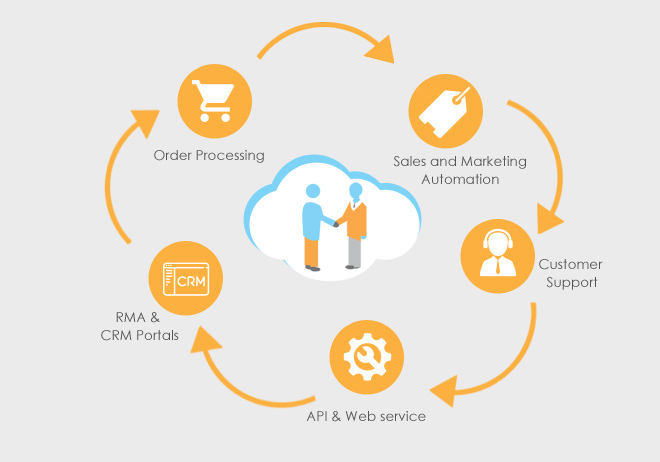 Get all your customer data, communication records, marketing details and every other needed aspects for better customer relationship management – all organized and centralized at one secure cloud based platform with KENRelation™, so that you can magnify your business productivity and profitability. With a set of powerful and advance tools, dashboard, integrations and syncing options, it will streamline the entire sales & marketing process of organizations. KENRelation™ Features: What Your Business Needs…..
With a prime purpose to drive profit levels of businesses, KENRelation™ effectively tracks all the client-oriented processes of an organization, which involves sales & marketing to technical support & customer management. It will be easy to respond to customer needs, responses and referrals for sales & marketing teams with key features of KENRelation™. KENRelation™ aims to provide better relationship management with clients, while making way for new prospective customers to your organization. With numbers of advantageous benefits, KENRelation™ is the smartest way to manage, know and understand clients and their needs for better sales transactions and marketing coordination. Here are few outstanding benefits which demonstrate why KENRelation™ is a must use for your organization. Easy decision making with well-informative and real-time CRM reports. Higher number of quality lead generation with easy follow-up and alert options. Performance and analytic reports with current and future forecasts of your business. More focused sales & marketing efforts with complete picture of customer relations. Better coordination between client and service provider. Simplifies sales & marketing works. Comes with secure monitoring and access control features. Fully integrated and easy to use sales, marketing and customer service tools.